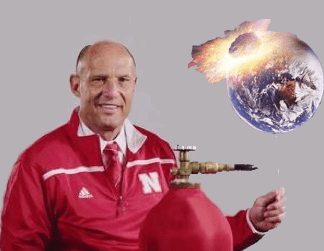 With the Spring Game kicking off in less than 24 hours, it’s about time we dusted the cobwebs off this site. 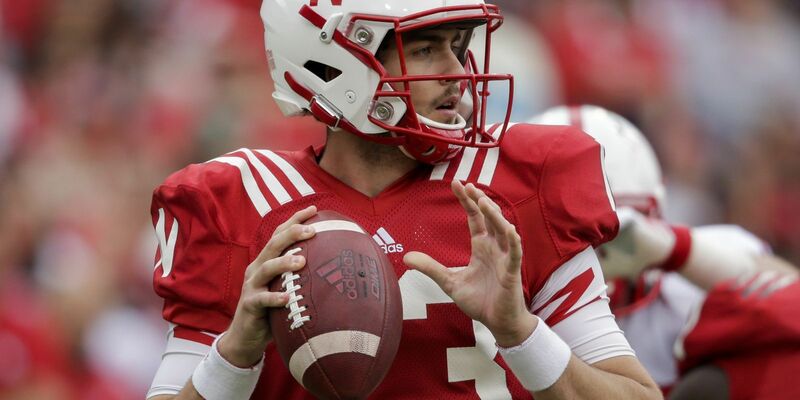 When we left off, hopes were running high that the Huskers would leave Nashville with a victory in the Music City Bowl. 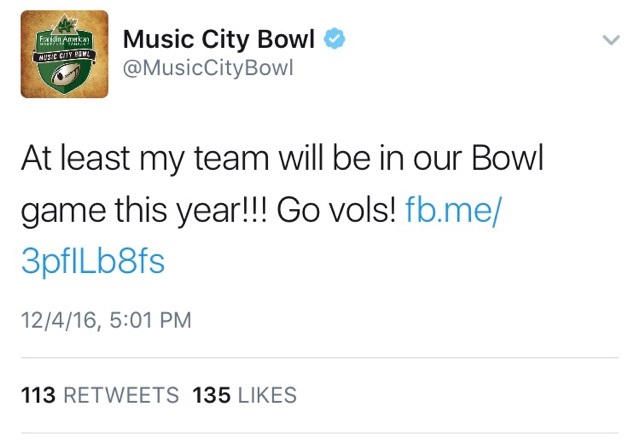 That didn’t exactly happen and we’ll just leave it at that. In the meantime, the Big Red Fury World Headquarters relocated from its Hollywood adjacent location to the hills of Northeast Los Angeles, not far from the Rose Bowl. 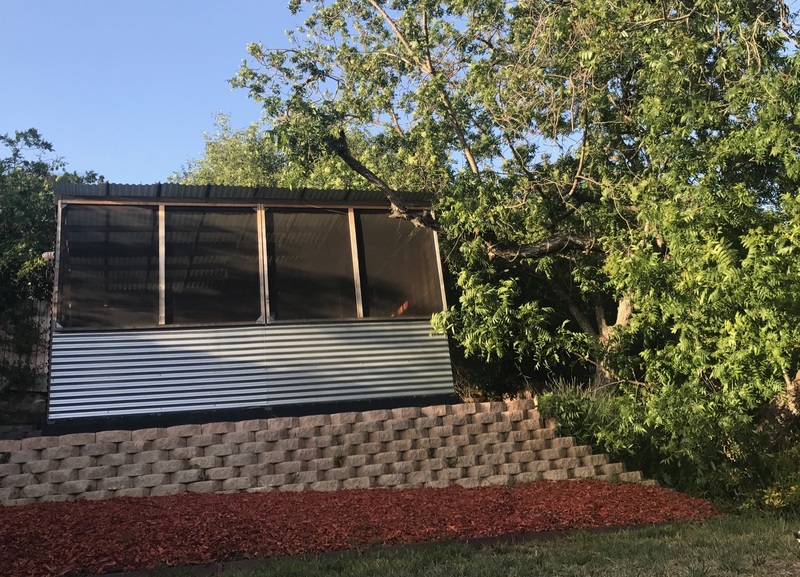 My wife and I bought a house that included a daggum fort in the backyard. 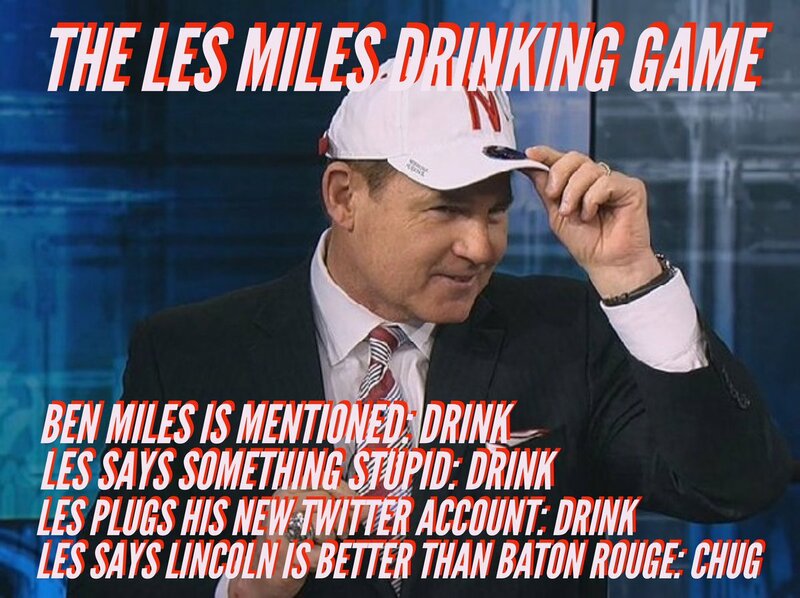 And if that wasn’t enough, it came equipped with a TV, a bar, and a Kegerator. 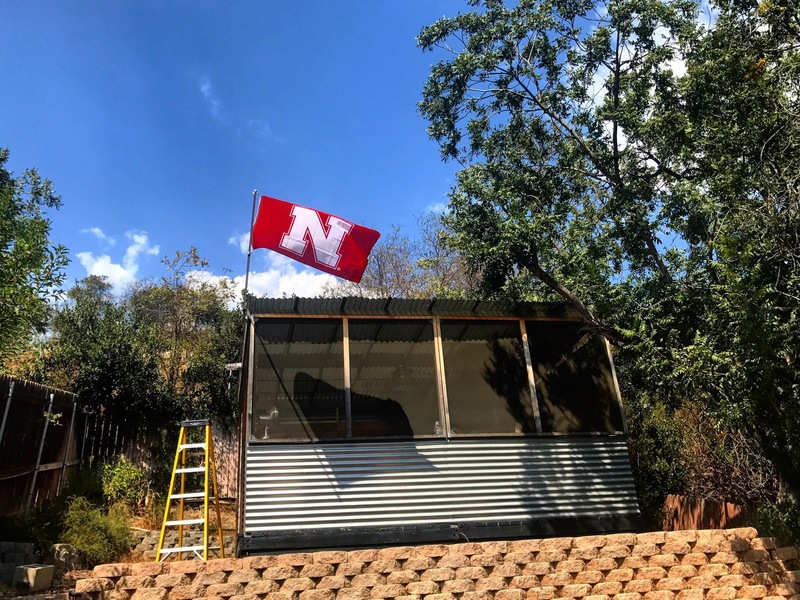 The previous owner, a retired Naval Aviator built this fort with his bare hands and now that it was in my care, the first order of business was getting it set up as a proper Husker hangout. 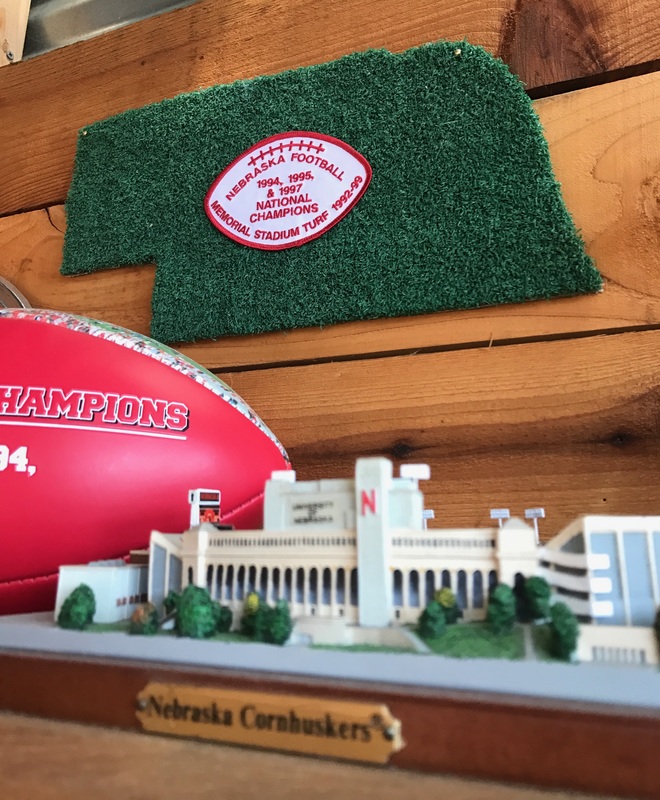 Over St. Patrick’s Day weekend I was back in Lincoln for a buddy’s wedding and on a mission to bring home some Husker collectibles. 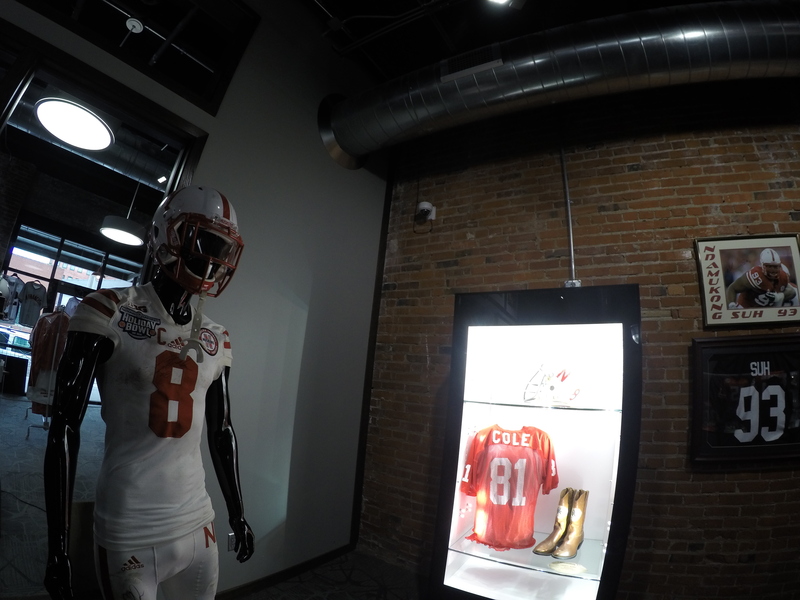 As the luck would have it, I stumbled into a Husker store in the Haymarket that was so brand new its owner was still getting settled in. 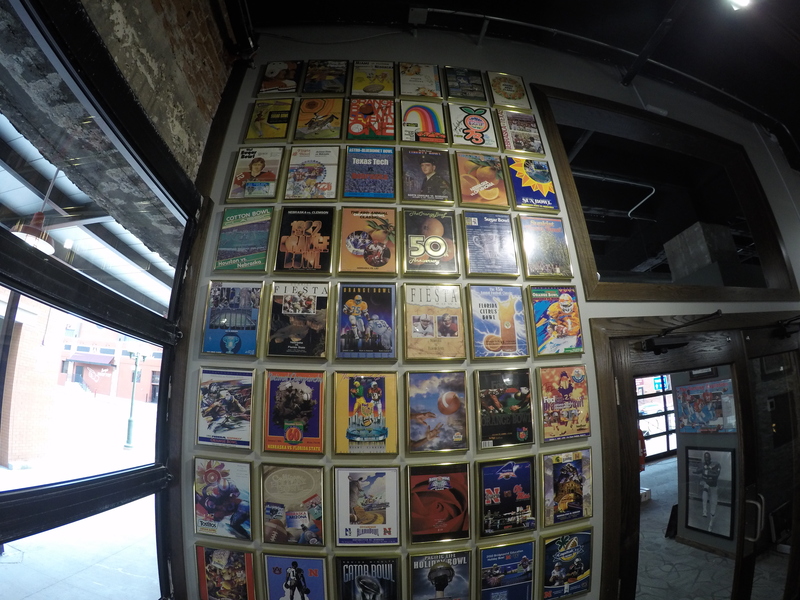 Vintage Red Sports Gallery is nestled into the ground floor in one of the Haymarket’s many new buildings and is the creation of JC Wickstrom. 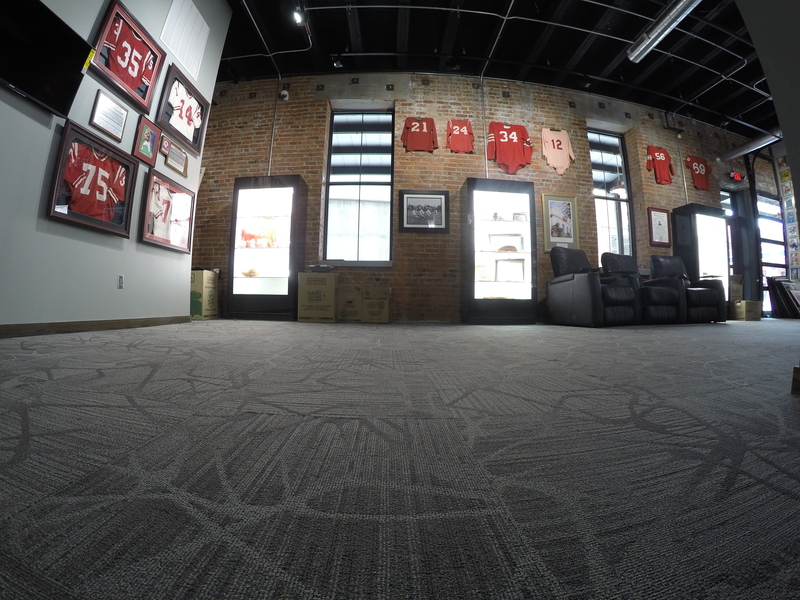 It’s half vintage Husker store, half Husker museum, and 100% incredible. 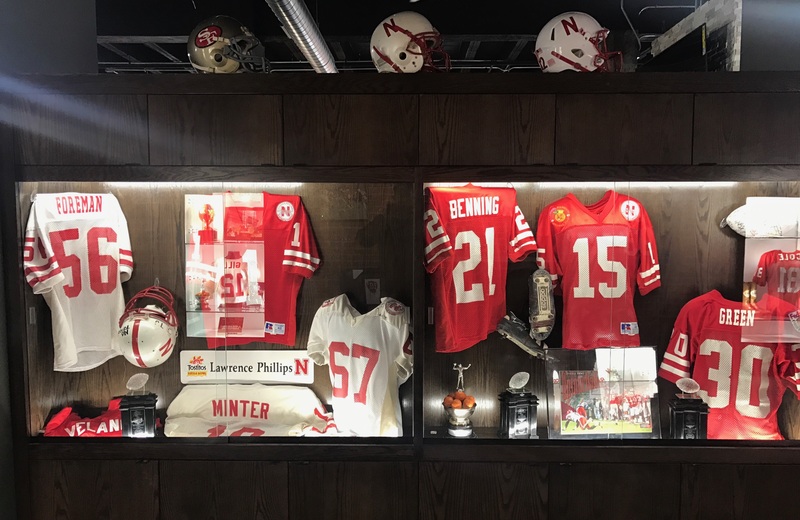 Wickstrom has been obsessively and methodically collecting Husker memorabilia since he was a kid and his collection in the museum section of his store rivals anything you might see in that stadium across the road. In fact, it was so impressive that I went back for a second look instead of making a pilgrimage to Memorial Stadium before heading to the airport. On both visits, Wickstrom was available to play tour guide and his stories were as fascinating as everything he has on display. Here are some of the many highlights. 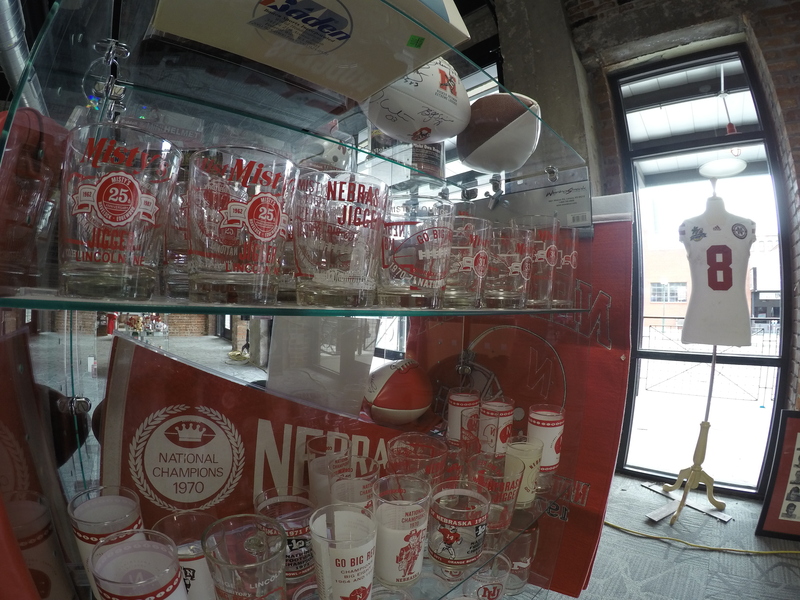 If you ever feel the need to chill among Husker artifacts, Vintage Red Sports Gallery is your spot. 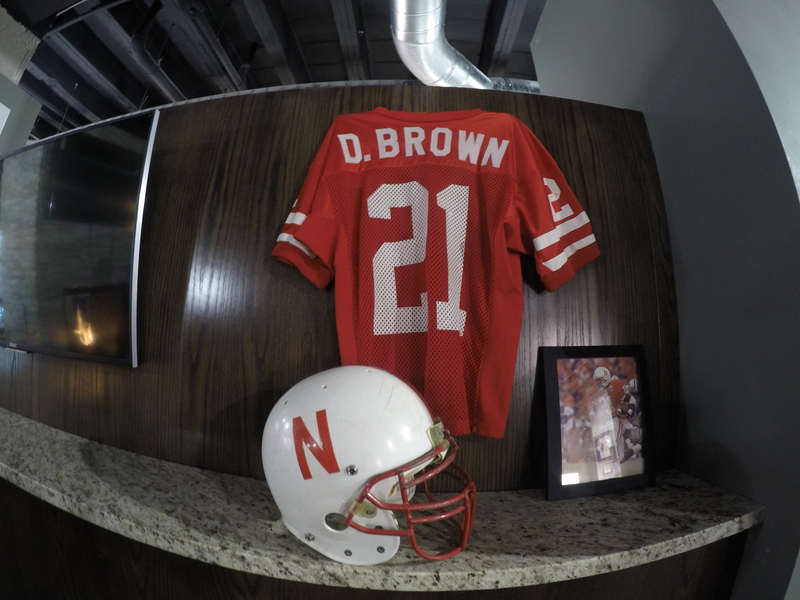 Everywhere you look you’ll see a piece of Husker history. 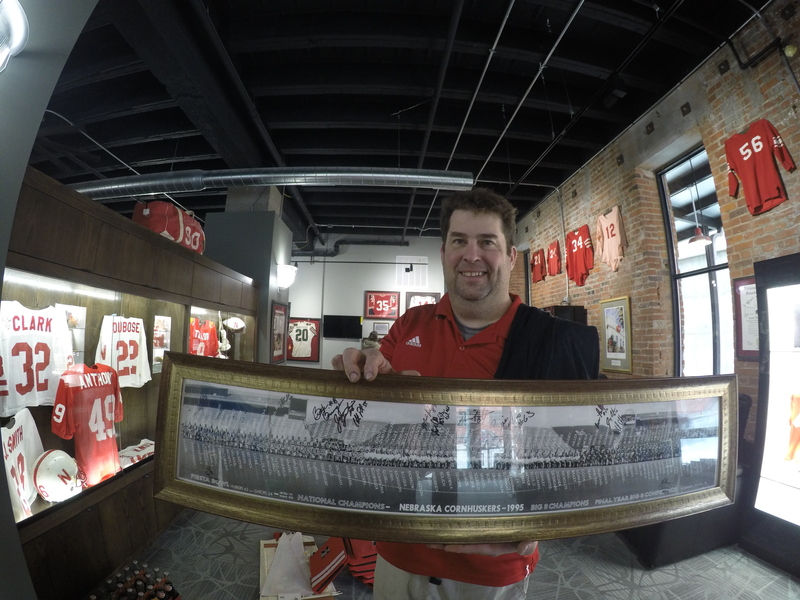 Wickstrom plans to use the museum space to host signings and special events during football season. 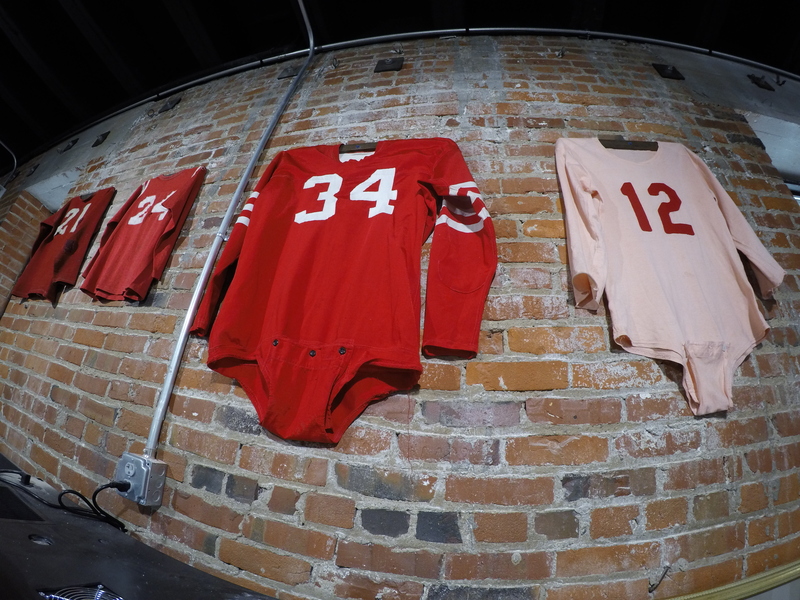 The pink #12 jersey was game worn by Bobby Reynolds. According to Wickstrom, an equipment manager kept it as a souvenir and his young son would often wear it when dad was gone. One day, the jersey picked up a little dirt during a backyard football game and the son tossed it in the wash, thinking dad would be none the wiser. Unfortunately, he didn’t account for the possibility of the red numbers bleeding onto the white of the jersey. Whoops. Also, it should be noted that I forgot to ask Wickstrom if the kid survived. 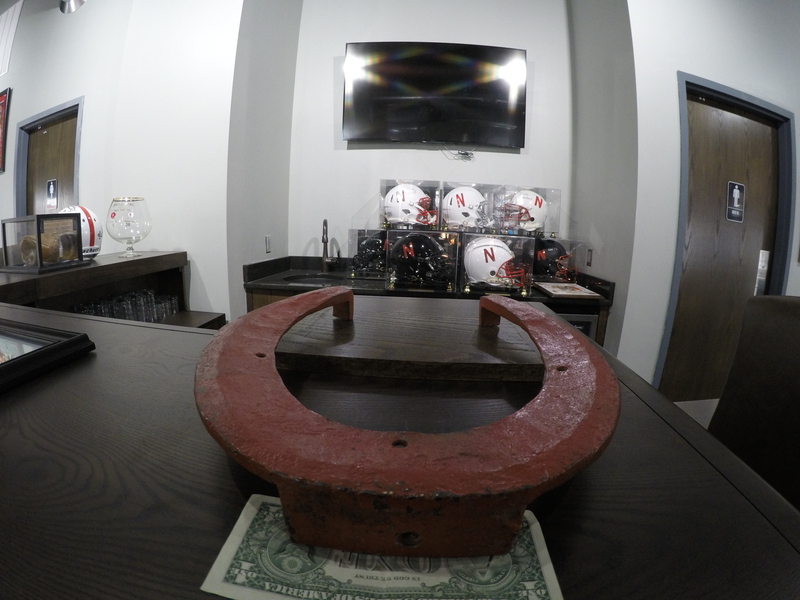 You’re going to need to stop in and ask Wickstrom about how he came into possession of the ORIGINAL Memorial Stadium horseshoe. It was totally legal but still required years of waiting and an Ocean’s Eleven amount of planning to pull it off. 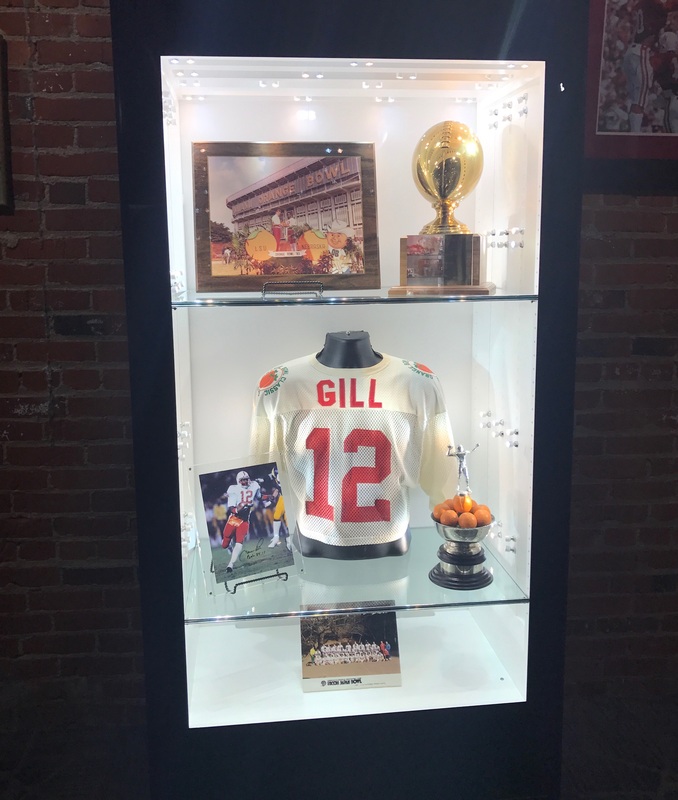 The 1996 Fiesta Bowl case. NBD. 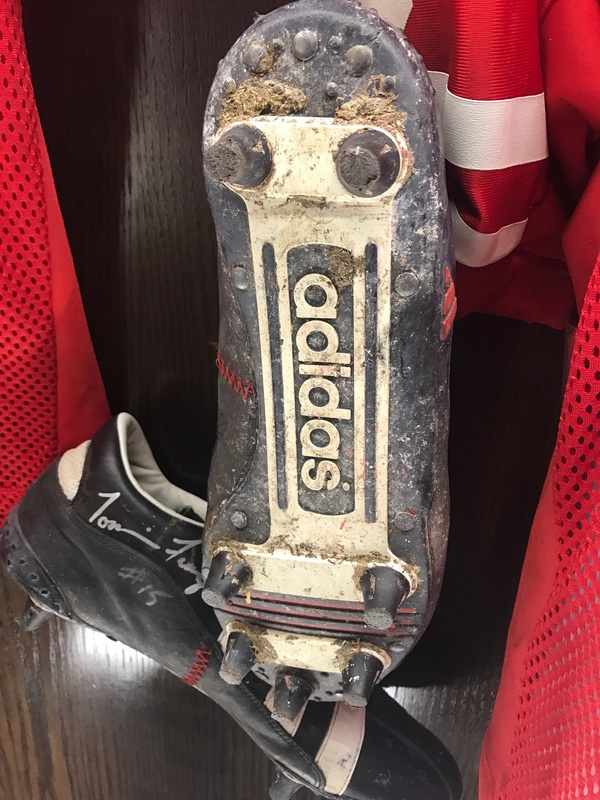 Just Tommie Frazier’s Fiesta Bowl cleats complete with Fiesta Bowl dirt. 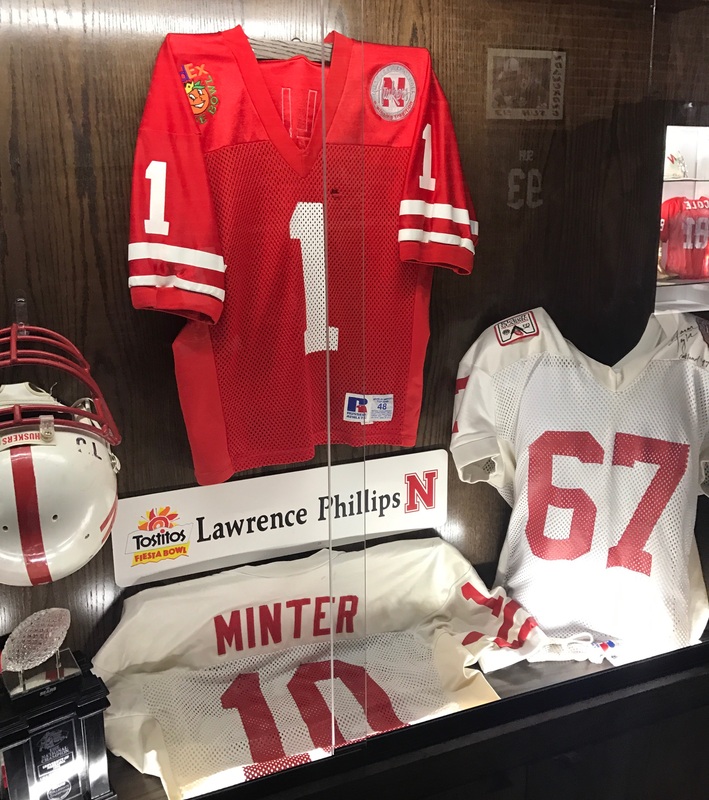 Lawrence Phillips’ and Mike Minter’s Fiesta Bowl jerseys. 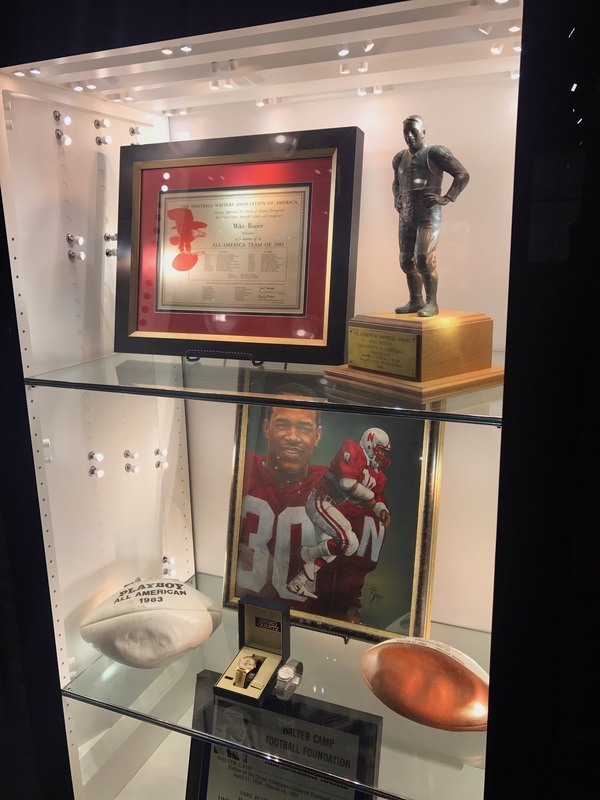 This case is filled with items Mike Rozier had laying around at his mom’s house. Seriously. 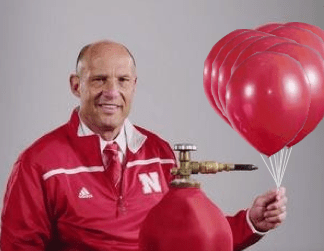 The Turner Gill case. Look close and you’ll see the ‘G’ doesn’t match. Back in the day players got one home jersey and one away jersey and that was it. This glass from the 1940 Rose Bowl is the only one known to exist. 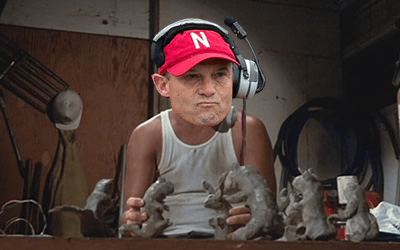 TO’s Orange Bowl headset. Frankie’s practice jersey. 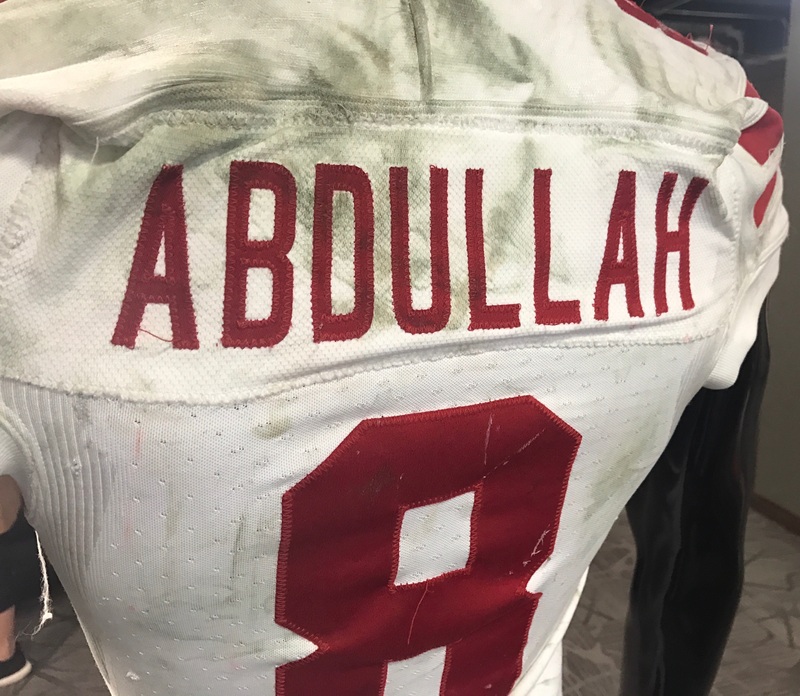 Ameer Abdullah’s Holiday Bowl uniform. 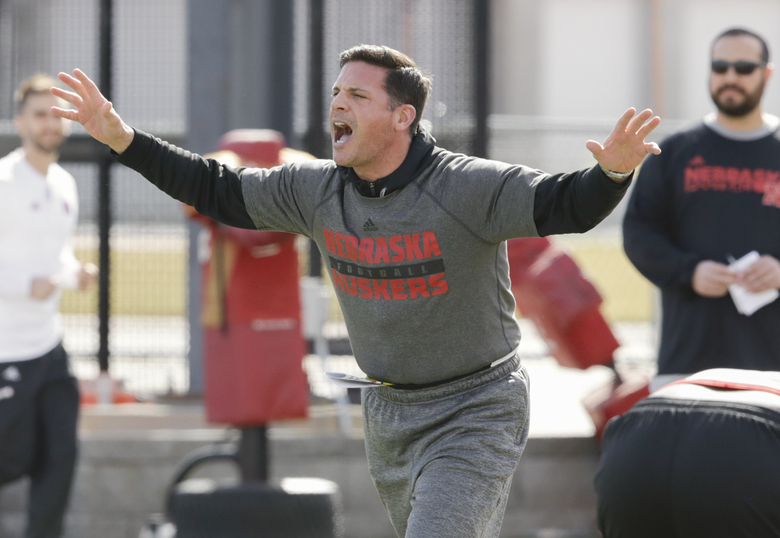 Speaking of bowl games, here are the programs from every Husker bowl game. When I asked Wickstrom if I could shoot some photos, his only stipulation was that I had to include his all-time favorite player, Derek Brown. Vintage Red owner JC Wickstrom shows off one of his latest finds. 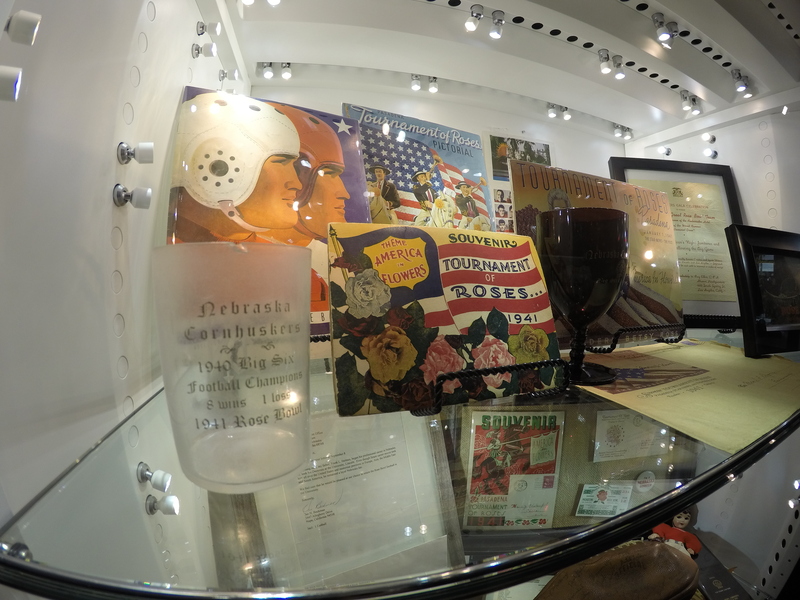 The retail side of Vintage Red is loaded with one-of-a-kind items. 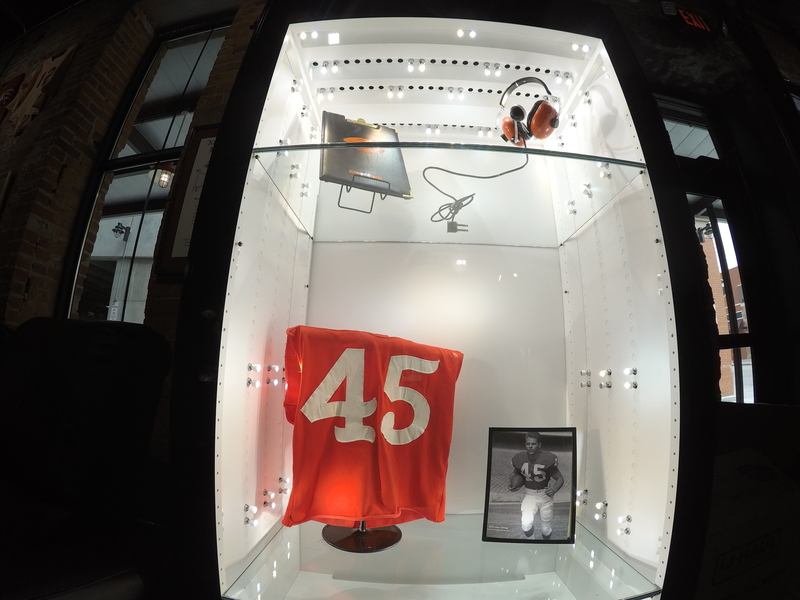 Nobody tell Clester Johnson that Tim hocked his jersey. My big score from Vintage Red, a section of Memorial Stadium turf. 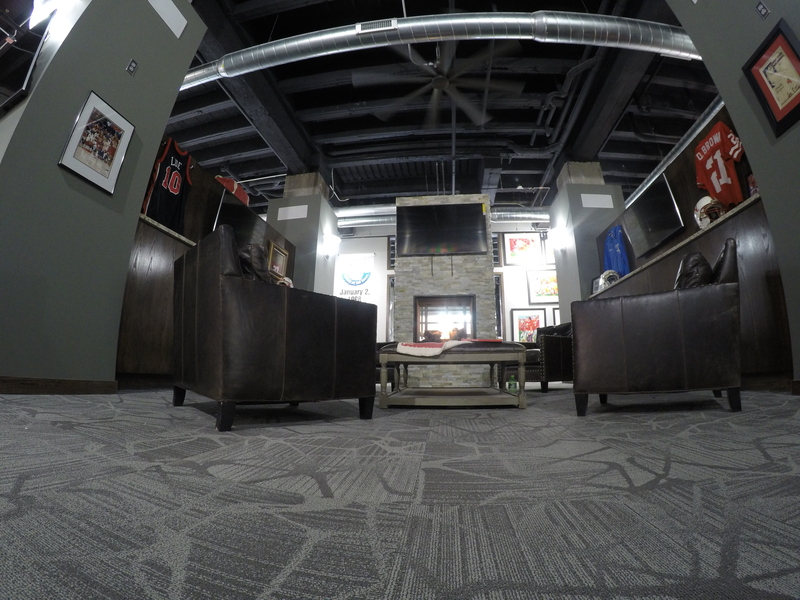 Vintage Red Sports Gallery is located in Lincoln at 800 Q Street Suite 103.